The Index comprises over 17,000 entries to date and is still growing. It includes names, dates, place of apprehension and in many cases place of origin of vagrants etc. found in Kent records. 75% of those whose place of origin was given came from outside Kent. Some 8000 of the entries come from the parish registers of the 130 Kent parishes east of a line drawn down the county from Oare to Hythe and include baptisms and burials of travellers, wayfarers, strangers, vagrants, gypsies, tinkers, petty chapmen, pedlars, chimney sweeps etc.. Soldiers and seamen are also included, complete for the period up to about 1750, but some included up to 1800. It is planned to extend this coverage to the rest of Kent. Entries from some parishes are already included. 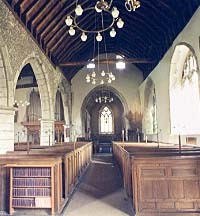 Details of other travellers come from other parish records such as Churchwardens', Overseers' and Constables' Accounts. The remaining entries comprise records of vagrants whipped and returned home taken from parish registers, mainly in the period 1599-1640 : records in the State Papers Domestic of the 1630s : Kent Quarter and Petty Sessions records from 1598-1837 : and other incidental references. The Index includes persons noted as being travellers or who were apprehended as vagrants, gypsies, beggars or unlicensed pedlars anywhere in Kent and, for 1707 onwards, Kent vagrants apprehended elsewhere and returned to their settlements in Kent. The latter records are especially good for the periods 1777-1787 and 1817-1818. All references to original documents are supplied and in many cases it will be possible to provide photocopies of material, at extra cost which will be advised when replying. Search Fee : £2.50 per entry. Overseas enquirers only - would you preferably remit by a sterling cheque or sterling bank draft, equivalent in American dollars cash or low denomination British stamps.